John Tetzel is famous (infamous?) for arousing the ire of Martin Luther by his outrageous claims for the sale of Catholic indulgences. 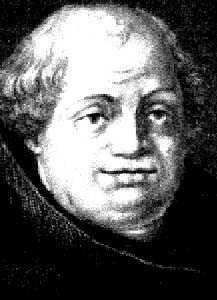 Tetzel, whose German name is Johann, was given the task of raising money for the building of St. Peter's Basilica in Rome. He was exceptionally good at it, and his claims for the effect of indulgences were exceptionally extreme and superstitious. Why you should read Matthew Bryan's Forgotten Gospel . As you can see from the quote, John Tetzel claimed that no repentance was necessary on the part of the buyer in order to obtain the benefit of the indulgence. This seemed ludicrous to Martin Luther. Of course, first it would be good to know what an indulgence is! The Roman Catholic Church to this day (look for yourself!) claims that Jesus, Mary, and the saints did so many good works that left behind "merit" that they didn't need. 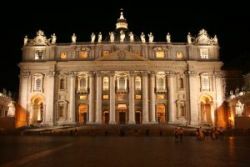 That "treasury" of merit is in the possession of the Church, and that merit, says the Roman Catholic Church, can be bestowed on others as the Church wills. I'm stunned I'm actually writing this about what a "Christian" Church believes. According to the Roman Catholics, when God forgives, there are some sins for which he remits only the eternal punisment. There is still "temporal punishment" that must be endured, and if it is not endured in this lifetime, then it must be endured in purgatory. Through the giving of indulgences, the Roman Catholic Church can shorten that punishment, whether on earth or in purgatory. There is a story, almost certainly false, that the leader of a gang of ruffians approached Tetzel to obtain pardon through the purchase of an indulgence. "Will indulgences forgive future sins as well?" he asked. Tetzel assured him that they would, and the young man immediately paid him. That night, confident that he was forgiven, the young man robbed Tetzel, obtaining his money back and more. I have now also heard this story told with a German noble as the thief. The citizens of Europe under the rule of the Roman Catholic Church were kept in great ignorance. Superstition was rampant. Doctrines like purgatory were superb for keeping citizens in fear, and ignorance lent strength to wild ideas about demons and witches. John Tetzel fed on those superstitious fears. It was very easy to convince people who believed that their dear mother, departed wife, or beloved child were that very moment burning in flames in purgatory that they ought to pay money to release them from their torment. In a sense, the sale of indulgences was a way to get the poor to willingly pay taxes. 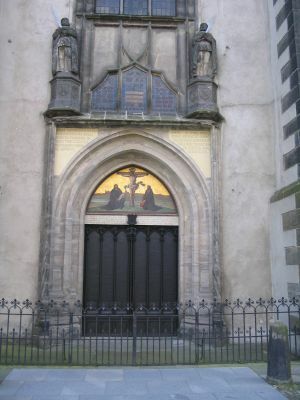 On October 31, 1517, Martin Luther nailed the death warrant on indulgences to the cathedral door in Wittenburg. His 95 theses were powerful arguments against everything about the sale of indulgences. Luther was a powerful salesman in his own right. He was popular both with the people and with the prince. His words were soon distributed all over Germany, and John Tetzel's indulgence sales came to an abrupt end. This, of course, aroused the ire of the pope, who was anxious to have St. Peter's Basilica built, and the rest, as they say, is history. Broken and in ill health, John Tetzel passed away in 1519. Christian-history.org does not receive any personally identifiable information from the Google search bar below. Google does run ads on the result page. If you click on those ads, we get a small commission, but we do not get any identifiable information. My brother-in-law sells breathtaking woodwork! When you sign up for our Church history newsletter, your private information will not be shared, and we will only use it to send the newsletter. Don't worry—your e-mail address is totally secure. I promise to use it only to send you the Early Church History Newsletter.